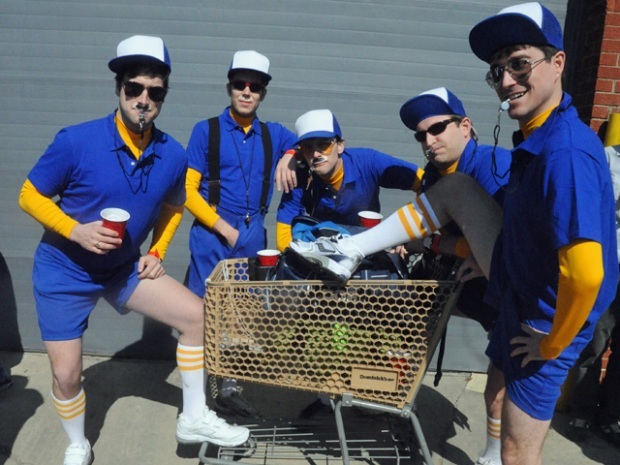 Annual shopping cart race aims to end hunger. 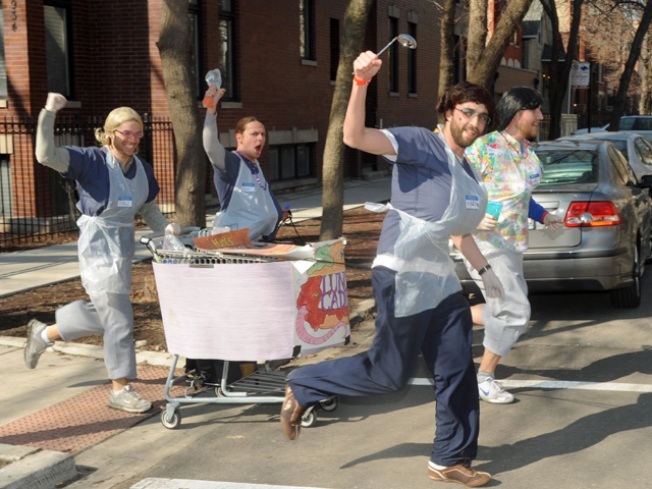 Chiditarod, Chicago's annual shopping cart race, kicks off Saturday at noon. Teams of five will race from bar to bar and be asked to perform different tasks such as having a drink and singing some karaoke, all in the name of charity. The race will kick off at 1900 W. Hubbard St. Check-ins begin at 9:45 a.m. According to the organization's website, the Chiditarod is Chicago's very own most important shopping cart race in the universe. The idea comes from the famous Alaskan long-distance race, Iditarod, in which sleds are towed across the snow by dogs. Chiditarod replaces the dogs with people, the sleds with shopping carts and Alaska with Chicago. The ultimate goal: to raise money for the Chicago Anti-Hunger Federation. "This is a silly event with a very serious cause," the website says. Some of the rules include crossing the finish line with no less than 42 pounds of non-perishable food in your cart. Chiditarod is a food drive, and teams must spend at least 20 minutes at each checkpoint. Seeing that this is a charity event, there are substantial prizes for teams who collect the most food. Carts should be decorated, costumes are allowed and sabotage is encouraged. After all, who doesn't enjoy some good competition? If you are not registered for the event, you can still support it. Camp out at any one of the official checkpoints and cheer on the teams.